Sir Charles Hotham was appointed Lieutenant-Governor of the colony of Victoria on 6 December 1853. This posting was considered a difficult one due to the huge social and economic changes that were sweeping the colony after the discovery of gold. After the resignation of the unpopular and somewhat lack lustre Charles Joseph LaTrobe, Hotham’s appointment was greeted enthusiastically by the press and public alike. A former naval officer, Hotham however, was a reluctant candidate. 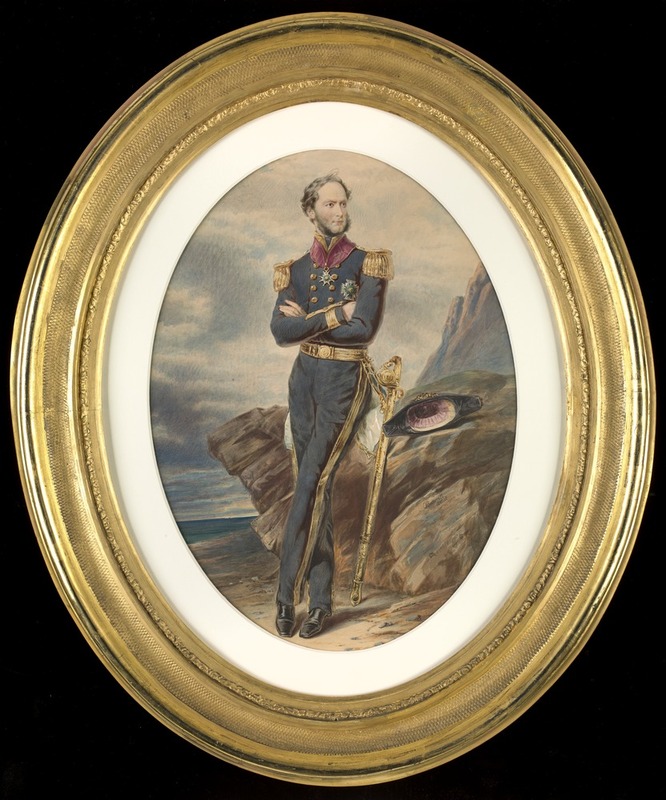 He would have preferred the captaincy of a ship to take to the Crimean War but this did not eventuate and he arrived in Victoria to take up his post in June 1854. Hotham’s job was onerous but he managed, within six months to ostracise many Victorian residents, not the least of whom were miners aggrieved at the mining license fee. Their continued agitation and Hotham’s resolute refusal to reconsider the fee or the way it was enforced resulted in the Eureka Rebellion of December 1854. Hotham’s popularity collapsed soon after but despite this he was elevated to the position of Governor of Victoria in February 1855. By mid 1855 Hotham had also lost all support in political circles and in November that year he tendered his resignation. The following is an address from some of the male residents of Wangaratta declaring loyalty to Hotham. This was a common practice during this period when patronage (the power to control appointments to office or the right to privileges) was widespread, and who you knew was often more important than what you knew. At this time local government had not been formed and all public works were carried out by the Government of the colony under the supervision of engineers resident in particular districts. The address was an astute move by community leaders who sought to draw attention to the district, probably in the hope that funding for much-needed infrastructure such as roads and bridges would be looked upon favourably. The address is undated but given that Hotham had a very narrow period of popularity and that these addresses were common when a new Governor arrived, it was probably penned around July 1854. Although the names are not true signatures and were written by the one scribe throughout, the document is an important record of the businessmen and landowners who were in the town in the winter of 1854. The names were arranged in order of seniority or importance to begin with, and then include many local business men without any reference to rank. G. M. Harper, P.M. & J.P.